It’s funny how some dangling threads in my weaving life can be unexpectedly connected by a wonderful coincidence. I had just finished weaving a structure that I call “two-heddle intermesh” with a group of backstrap weaving friends in California. If you have been following my blog for some time, you may even recognize some familiar faces from this group who weave with me every year. Certainly you will remember some of the names from projects I have shown here over the years. I have included this complementary-warp structure in my second book and chose to use designs that comprise only horizontal and vertical lines as a simple way to introduce the patterning technique. 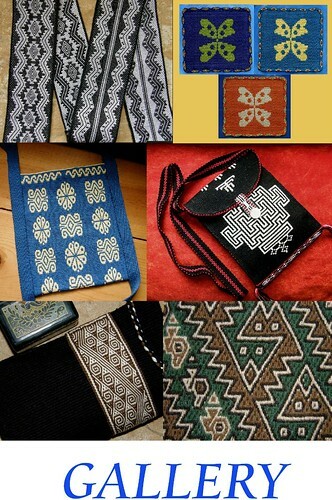 While looking through Joanne Hall’s book on Mexican Tapestry Weaving I saw that Mexican tablero and greca patterns were perfectly suited for this as were many of the motifs used by Bhutanese weavers on their tablet woven belts. 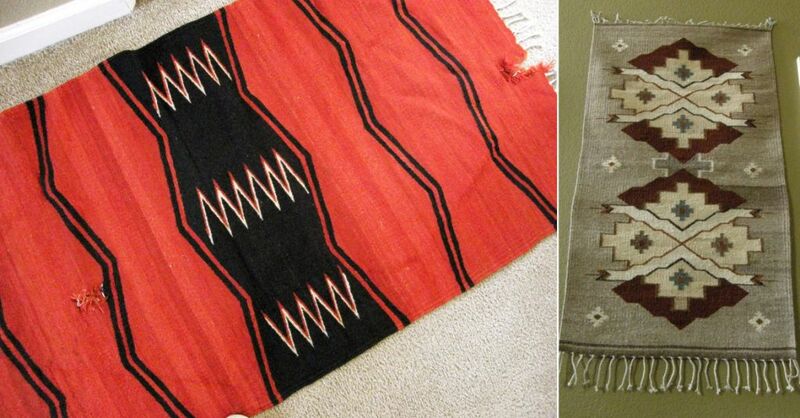 Joanne Hall writes that the tablero patterns represent indigenous designs as well as those introduced by the Spanish. 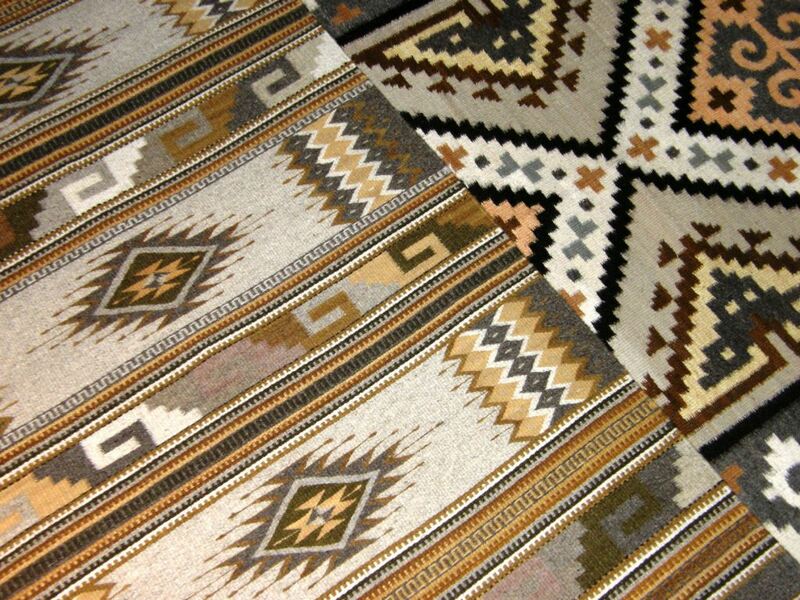 Many of the greca patterns appear in the structures and tombs at Mitla, Oaxaca and are used by tapestry weavers of that region. 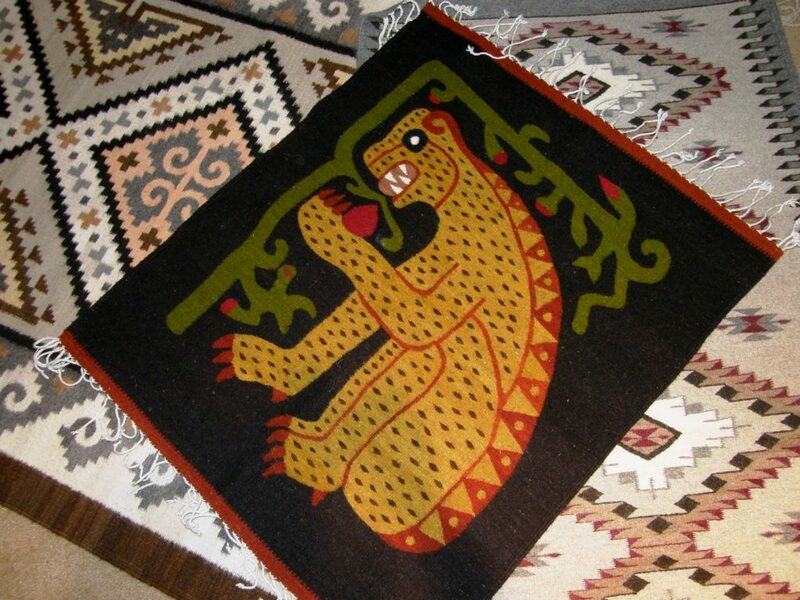 Above left, you can see Yonat weaving one of the greca patterns while Ingrid, on the right, completes a second Bhutanese influenced motif. The patterns with their simple heavy lines are bold and beautiful in this structure. As we were using a complementary-warp structure, the bands are double faced with striking red designs on a light background on the other side. Annie seemed to sense, knowing my love of red, black and white, that at least some of these colors would come into play, and dressed to match! She is weaving one of the tablero influenced patterns and made a beautiful band by repeating the one motif along the entire length rather than creating a sampler of a variety of patterns. 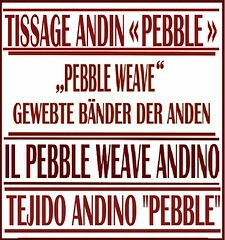 Maybe we will see something like this appear on one of the famed and fabulous woven guitar straps which Annie creates on her inkle looms. 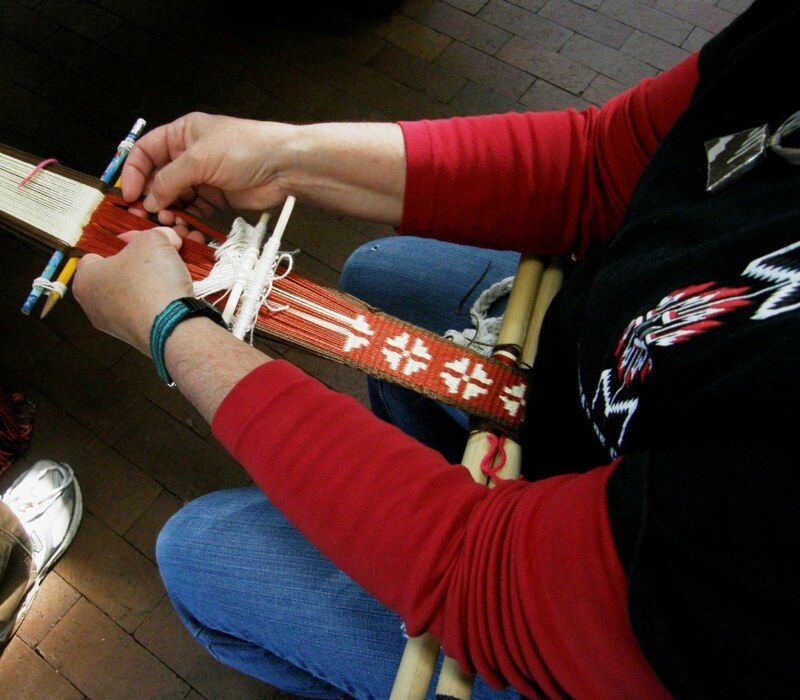 Yonat, too, is a fond of making bands on inkle looms and I expect to see her intermesh creations soon. Annie has been so busy lately setting up her new sub-brand for hand woven guitar straps, I was lucky that she still had some energy left to have me stay at her place and weave! In the evenings, she would sit at her inkle loom and turn out yet another original piece. I saw her start a new one using hemp. It was lovely to touch. 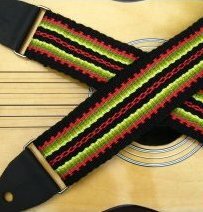 Even if you don’t own a guitar, check out Annie’s weaverguitarstraps.com for lots of colorful inspiration for your next band project. And if you would rather weave your own band, Annie makes the hardware that will enable you to turn your woven creation into a guitar strap. Jennifer from Oregon, had woven with me last spring when I visited her state and she showed on Ravelry, a couple of weeks ago, what she had made with an intermesh sampler. You can see her finished greca pattern and other shapes she played with while learning about the characteristics of this structure. It is what I call a “partly loom-controlled structure”, that is, the weaver does not need to do pick-up for every weft pass. 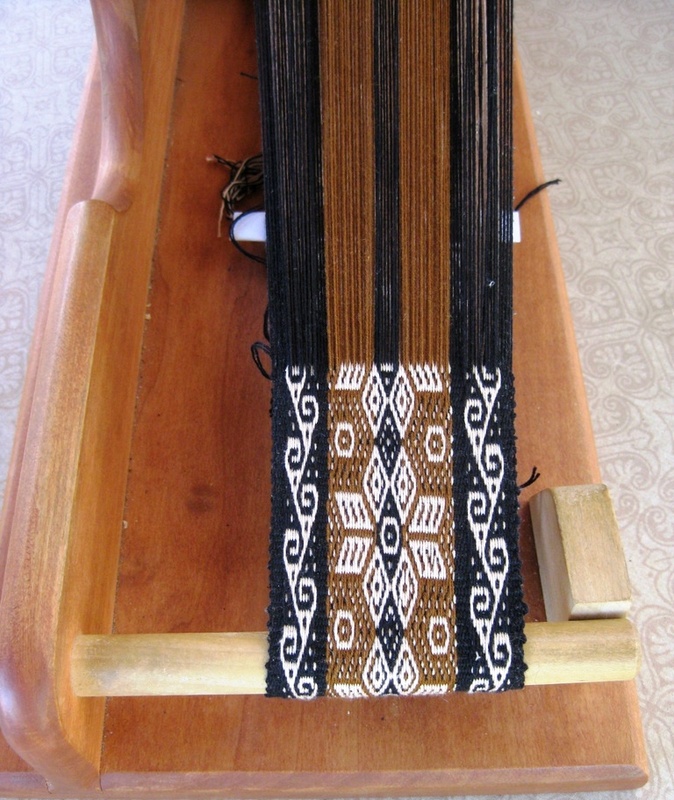 The loom does part of the work needed to create the motifs. 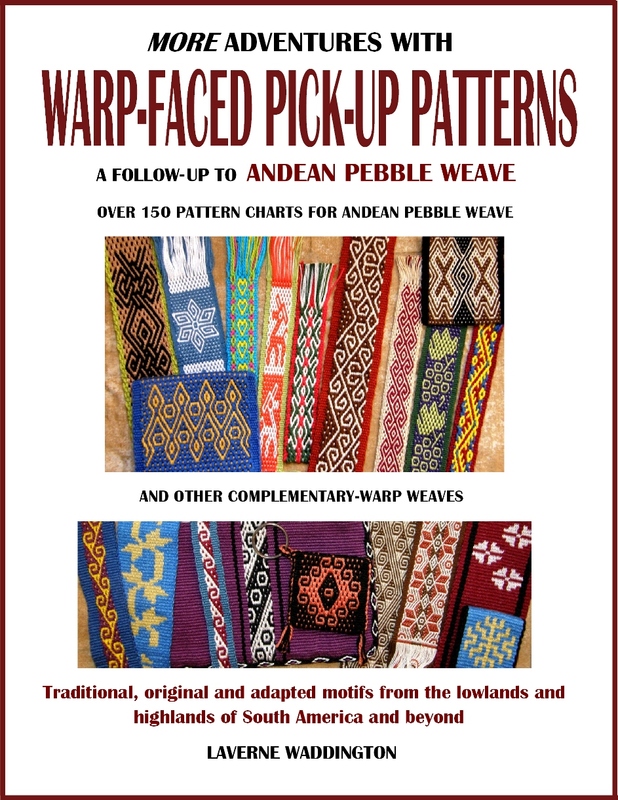 This, along with some other little tips and tricks that I talk about in my book which help reduce the amount of time spent doing pick-up, allows the weaver to create patterns relatively quickly. 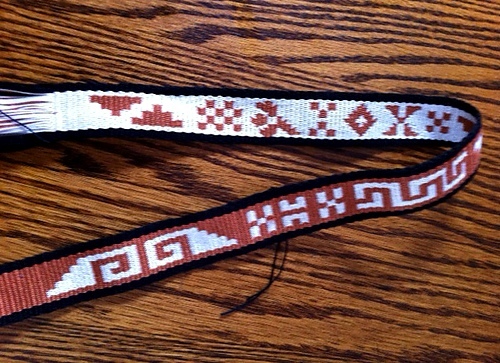 You may remember Bobbie’s guitar strap with names and a Mexican tablero motif made using the intermesh structure. Now, what about that coincidence I mentioned? I am getting there. I have a couple of other things to tell. Anne, who also wove with me in Santa Cruz invited me to come and stay with her and her husband in their hilltop home near Saratoga, Califormia. I now have a much better idea of the layout of the land with the spectacular views from Anne’s house and can understand why Santa Cruz people talk about distances from one place to another by mentioning the number of hills one must go over to get there. Anne took me to one of the meetings of her weaving group where I got to tell people about weaving on simple looms in South America. I met the Bolivian owners from La Paz of her local Mexican restaurant who are planning to move back to Santa Cruz, Bolivia where I live and are excited about perhaps doing some weaving with me. That was one fun coincidence. 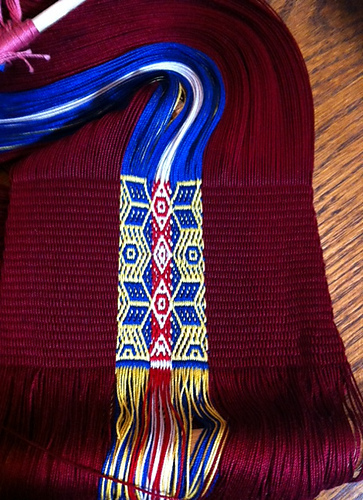 This is made up of two bands, woven on the inkle loom with patterns in supplementary warps, sewn together. You can’t tell that there are two bands, can you?! …the join is perfect. Another narrow band forms the sides and strap….so pretty. The following day Anne took me to meet an eighth generation Zapotec weaver, Jaime and his equally talented and skilled partner, Joey. Jaime’s father Zenon Hipolito, who taught him to weave, was not present but we got to see some of his work in progress on his hand-built looms. There was evidence of his craftsmanship to be seen everywhere…works created with his own hands but also pieces that have resulted from his having patiently and expertly passed his knowledge and skills to the next generation. The looms themselves are absolutely beautiful…three in the living room on which Joey and Jaime work to fill custom orders, and another downstairs for Zenon. Zenon even made the bamboo reeds, combs and shuttles as well as the spinning wheel. 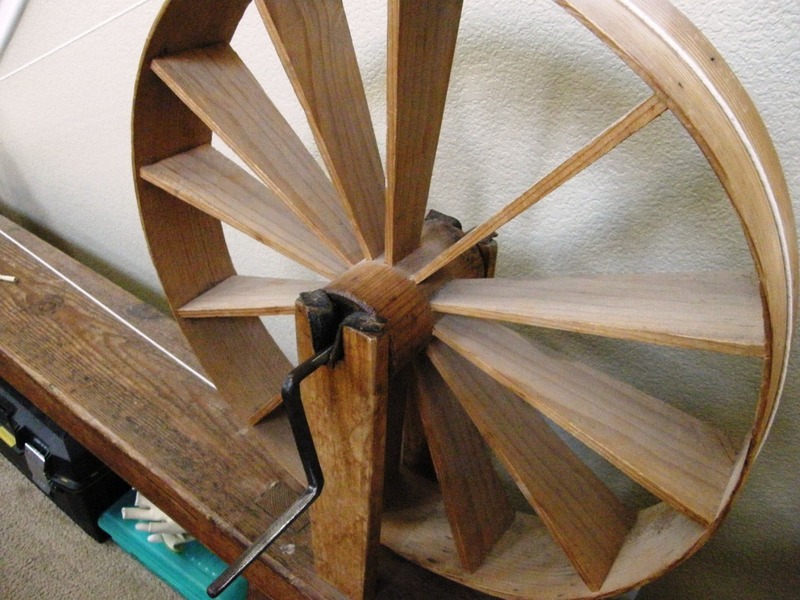 Joey seems to be the one who finds most time to spin and many of his pieces include some of his handspun yarn. He experiments with different fibers. A lot of the yarn they use has been dyed by them with natural substances. 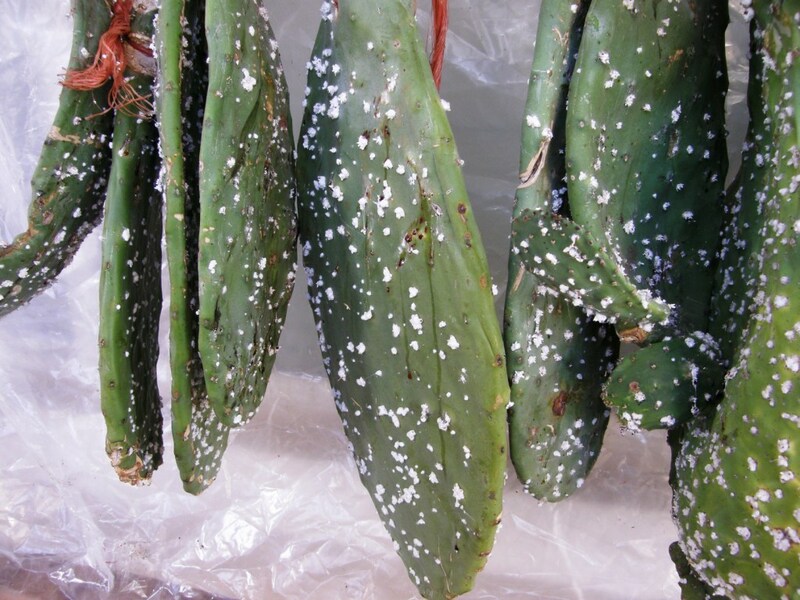 They even raise their own cochineal bugs on the front porch. They experiment with different kinds of warp, some are more successful than others. Joey described his struggles to finish a piece where he had used an unsuitable yarn for warp. It was a custom order and once he had cut his first full attempt off the loom he had to start all over. Of course, to Anne and myself, the piece looked faultless but, it wasn’t up to Joey’s standards of perfection. 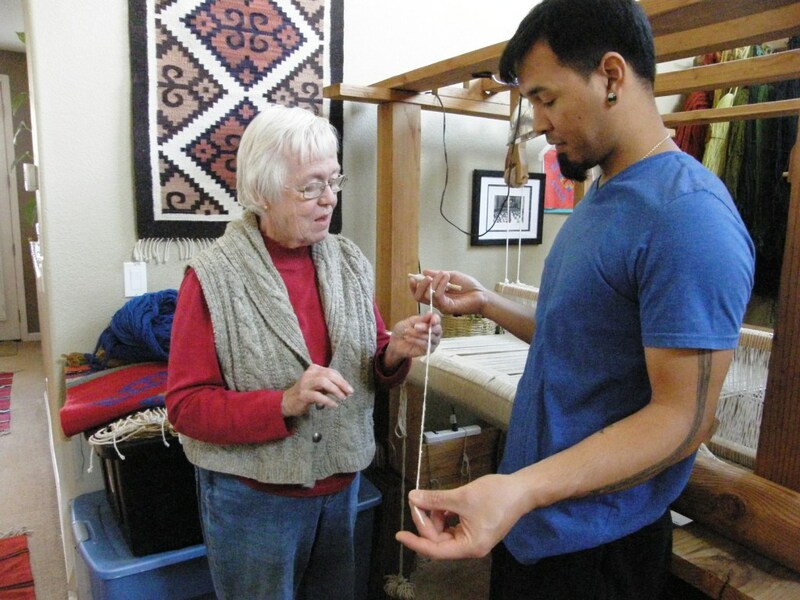 Both Joey and Jaime’s love for weaving and the motifs and fibers was apparent in the way they touched and talked about the rugs as they lay them out one by one on the floor for us to see. They have recently returned from a trip to Oaxaca (Joey’s first) where they had been invited to take part in an exhibit which included several other master tapestry weavers from the US as well as weavers from the Oaxaca valley, the home of the Zapotec people. Jaime spoke about the thrill of getting to visit the Mitla ruins which hold in their stonework many of the motifs which he was taught to weave by his father. Joey mentioned walking around the villages and recognizing the familiar sound of the beater hitting the edge of the fabric emanating from almost every house they passed. While they talked about the fatigue that comes from weaving standing up all day, they also mentioned the difficulty to resist weaving at least a little almost every single day in their home/studio where they stand surrounded by rows and rows of colorful skeins and their own woven pieces covering the walls and floors. When I was admiring the rich red and black piece, Joey mentioned his love of red, grey, black and white combinations and so I had to share my own love for that and showed him online images of my wall hanging pieces in which I have used some of those colors. 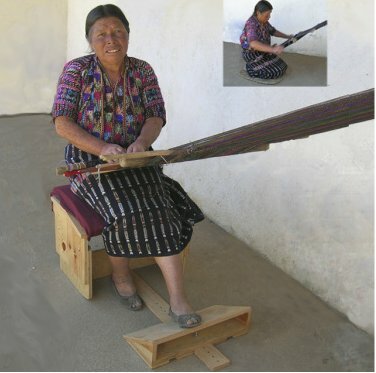 While they are aware of the use of the backstrap loom by many weavers in the Oaxaca Valley, they have not had any personal experience with one. I regretted not having taken one of mine to show and have them use. I then showed Jaime what we had woven in the workshop just two days earlier and he was happy to point out the designs from his culture which are woven by Zapotec weavers in their rugs. 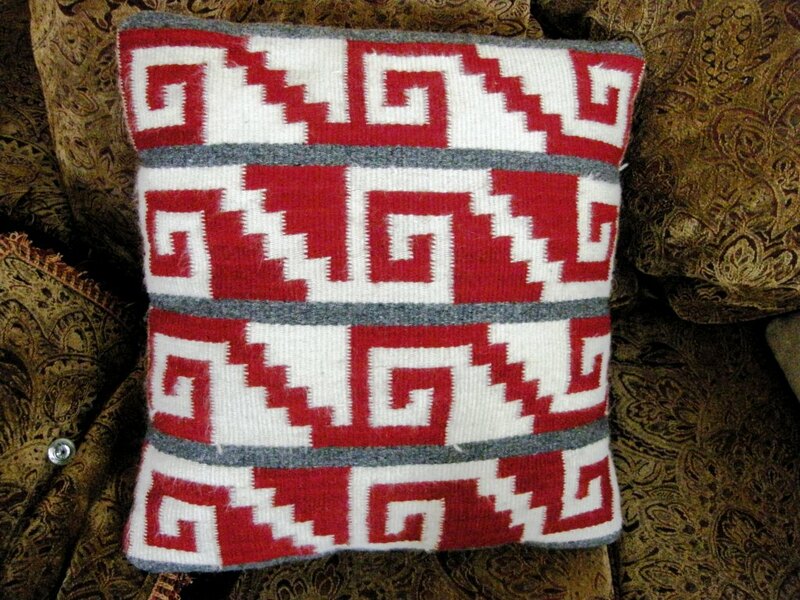 You will recognize below a version of the greca pattern that we were using in my class in very similar colors! 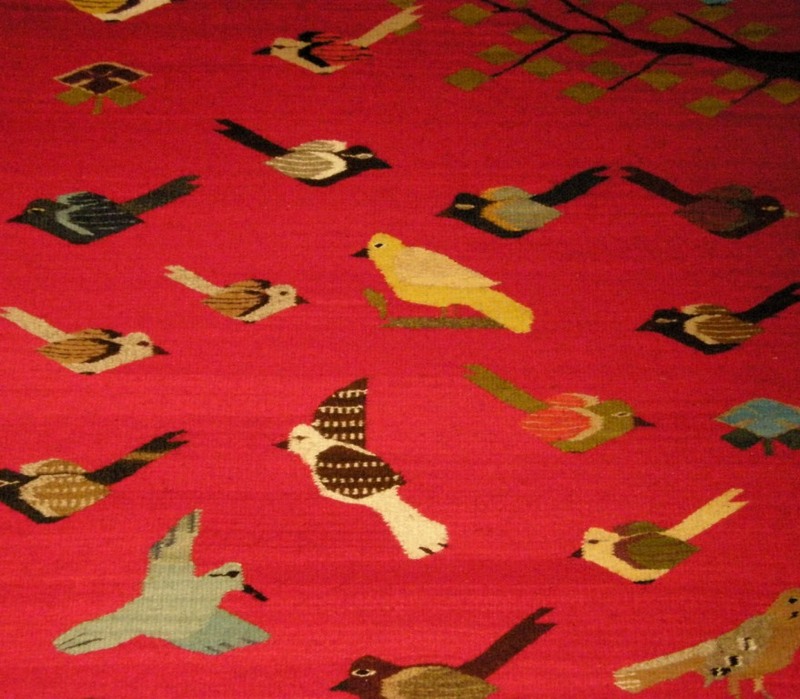 I found many wonderful motifs in the rugs that we were shown that will work beautifully in the intermesh technique. I only wish I had met Jaime and Joey before I finished my book so I could have included pictures of their work. The unexpected meeting with them was a wonderful way to tie everything together for me. From the pages of Joanne’s book to my own book to a workshop and, from there, on to an eighth generation weaver who continues to incorporate these traditional patterns in his work….I am grateful for all I learned from the book by Joanne Hall and her kind permission to use some of the designs she had charted in my own book and give many thanks to Anne, Joey and Jaime who made this get-together possible. From the home of the Zapotec weavers, Anne and I headed to Gilmore Looms. I was keen to see some of the looms that weavers in the Backstrap Weaving Group on Ravelry have been using to create warp-faced bands so successfully. Not everyone, after all, is going to love being strapped to their warp! It was fun meeting the lovely people at Gilmore who told us about having busier months so far this year than they have had for a long time. 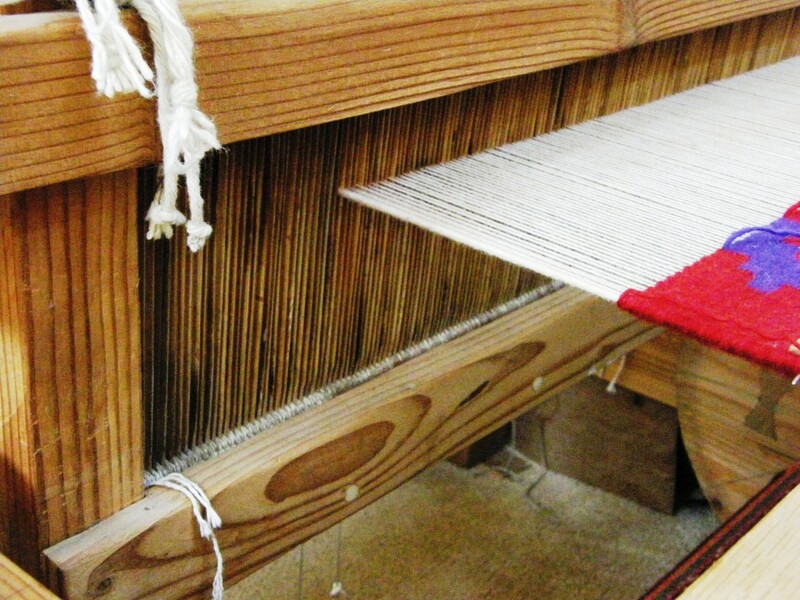 Lots of looms are finding homes…that’s good news for the weaving world. Here are the Gilmore Wave looms in two sizes…. It was Marsha Knox who first brought these looms to my attention as she used one to make a lot of wonderful projects using the patterning techniques that I teach in my tutorials here. 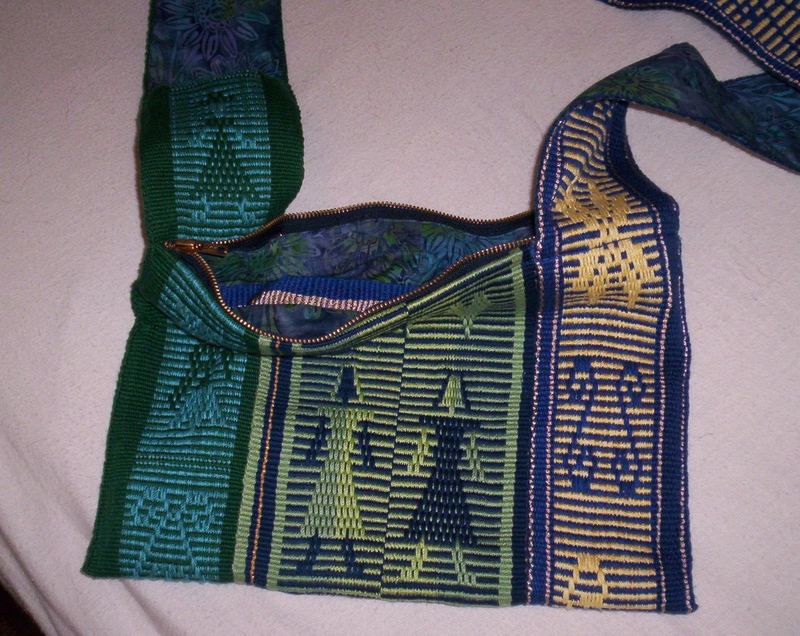 Here is a beautiful lined bag that Marsha made by joining several bands together. I am not sure which of the two looms she used. I like the larger as I prefer the larger amount of space it has between the front beam and the heddles. This would allow the placement of extra string heddles that are used for pebble weave and intermesh. The more space you have for those, the easier they are to use. Now, that I am with my friend Janet, I have seen the loom that she used in her tablet weaving class with John Mullarkey and I think that this is a little beauty too. John has these made to his specifications. They are basically a frame with adjustable tension on which to support a long band for warp-faced weaving. John, of course, has designed it specifically for tablet-woven bands. I think this little loom, perhaps clamped to a table, would work nicely for the kinds of narrow projects that I often do on my backstrap loom. The loom does not have any shedding devices of its own so, you would be using a shed rod and set of string heddles just as you would on a backstrap loom. However,I haven’t used it myself for this purpose yet and am just guessing at this stage that it would work well used in this way. 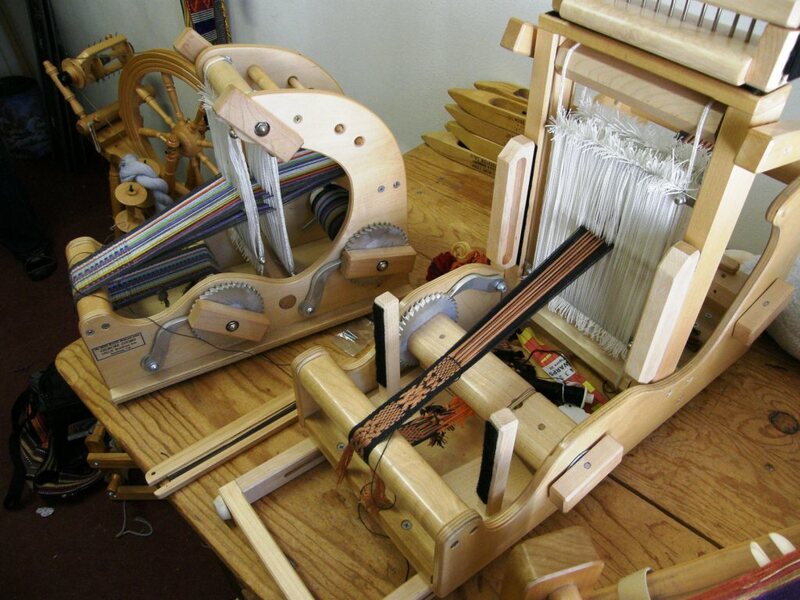 Of course, I much prefer my backstrap loom as, among its many advanatges, it is good to be able to freely and rapidly adjust tension at will with simple body movements. 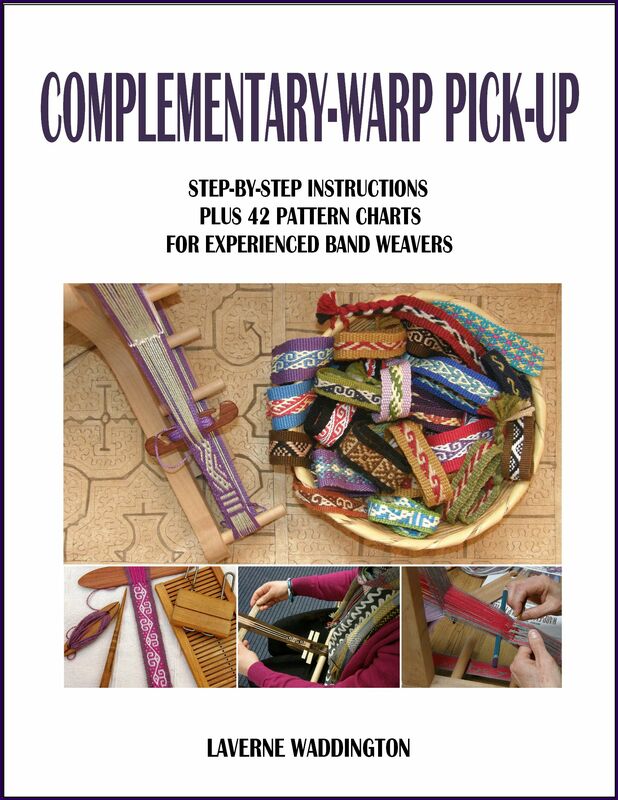 However, I do like to look for possible alternatives for those who simply aren’t able to use a backstrap loom. 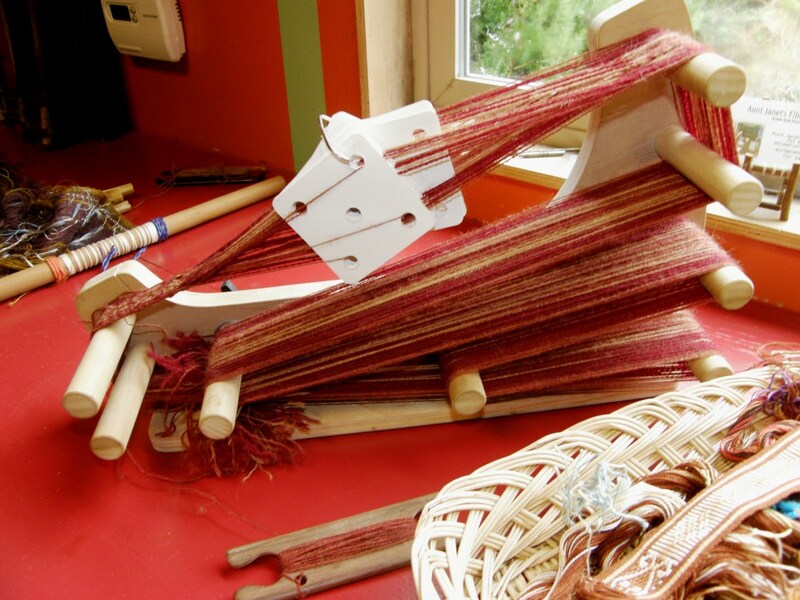 The loom is pictured above next to what I call Janet’s “grab-and-go’ basket…a bunch of prepared warps for backstrap weaving that she can pick up and take along with her to weave any time. Now, let me tell you some great news about the ergonomic weaving bench that Synergo Arts has been introducing to backstrap weavers in Guatemala. I have posted about these before. My friend Anne, with whom I stayed in Saratoga, has been involved in this project. Many backstrap weavers in the Ravelry group expressed interest in having one of these benches themselves but they were not available in the US. Now, Anne tells me that Synergo Arts has decided to make all the plans and instructions for these benches available to the public. So, if you are handy with wood and tools or know someone who is, there is nothing stopping you from making one of these benches yourself. The Synergo Arts page that I linked above will only be available until the end of summer 2013. After that, you will still be able to access the files here. These pages contain the plans for making the bench, instructions for using it and video of the bench in use. I never got to see one in use when I was in Guatemala or use one myself. It certainly looks very good. I particularly like the opportunity it gives for the weaver to brace her feet. If you build one, please let me know and send pictures! To finish, let’s see what the Ravelry guys have been up to…. This is Julia’s Lavender Field pebble weave bag. Her weaving group challenged themselves to weave something inspired by a gorgeous painting of fields of lavender. I am not sure if I would have permission to show the painting itself, unfortunately. 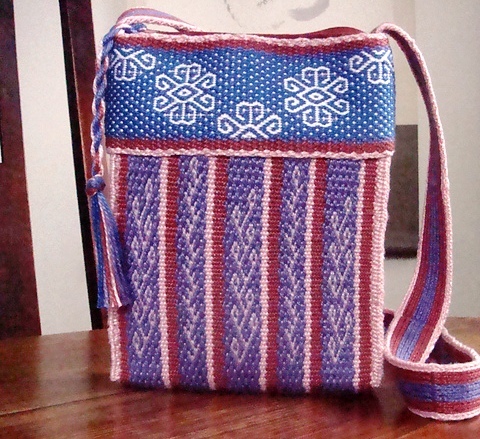 Julia used both her backstrap and Seidel band looms to weave the various parts of the bag project. It’s stunning!! Carol took a liking to the Tinkipaya star design from the central highlands of Bolivia, which is charted in my second book, and added an Andean motif to the sides to create this piece. Dawn is a relative new-comer to our group and wove a band with horizontal bars while getting acquainted with the loom and fine tuning her skills…look at those beautiful edges! 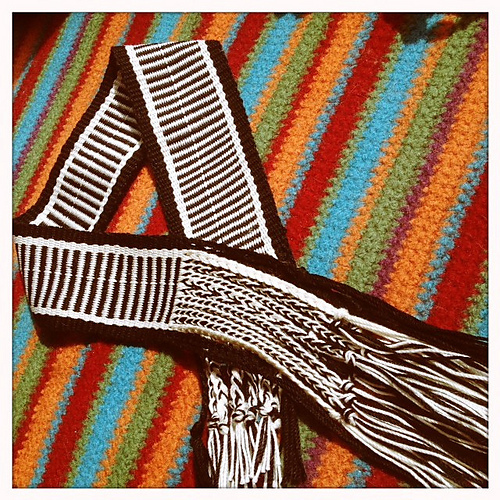 If you have any interest at all in finger-loop braiding you most likely know of Ingrid Crickmore and her loopbraider blog. Ingrid is always part of my weaving groups when I visit California. Ingrid brought some of her braids to show, some of which were particularly snakey, and she has written a great blog post about them. I thought that I would show them here as we are doing snakey things in our Ravelry Year of the Snake weave-along. You will be forgiven for taking a detour from backstrap weaving and wandering off and getting lost in Ingrid’s site! Those finger-looped braids make nice finishes for backstrap woven projects and are so much fun to make. I made some progress on my own Year of the Snake project. This pattern comes from one of several bands that was sent to me by weavers in Cochabamba (see my last post for stories about these ladies). I was immediately struck by its snakiness and had to try it. My on-the-road projects tend to have a hard life. They get hooked up and woven all over the place, anchored on toes, under heavy luggage, started and stopped and started again. This one is doing okay so far and is not showing signs of the ravages of the road yet! 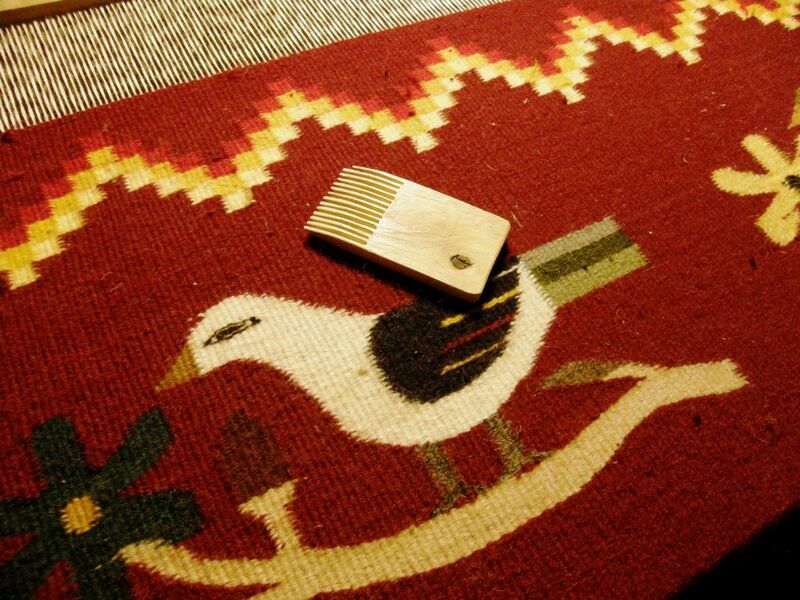 There it is weaving its way through the grass alongside the Bolivian band with the original pattern. I just got an email from Dorothy who just went to a lecture entitled Weavers’ Stories from Island Southeast Asia. She sent me a link to a webpage about the exhibit that has video interviews with various weavers and batik arists who talk about their creative process in times of changing social and economic situations. I have not even had time to see the videos myself so we can all watch them together here. That’s all for this post. 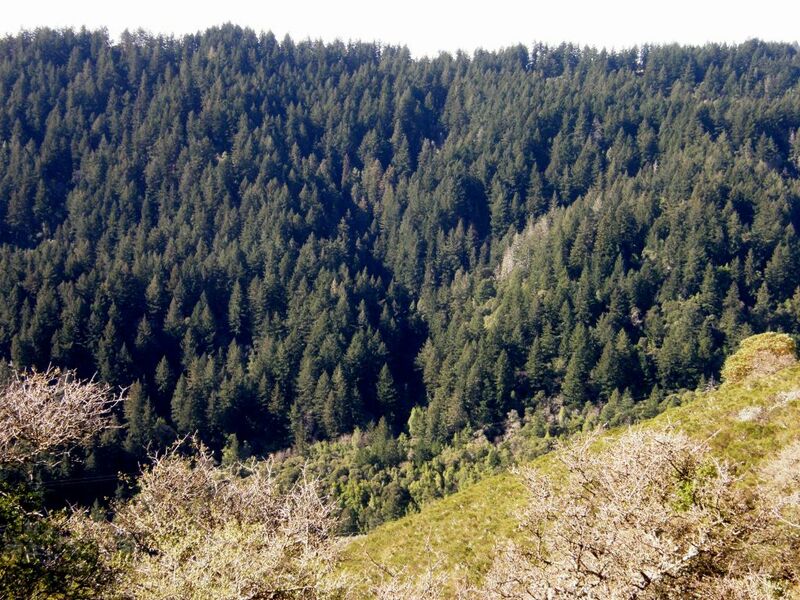 See you next time with tales from Texas and the Humboldt redwoods. Wonderful post and photos as always Laverne! Loved reading about Jaime & Joey and was fortunate enough to meet them both and buy one of their rugs at Convergence last year. Thank you for your wonderful post. 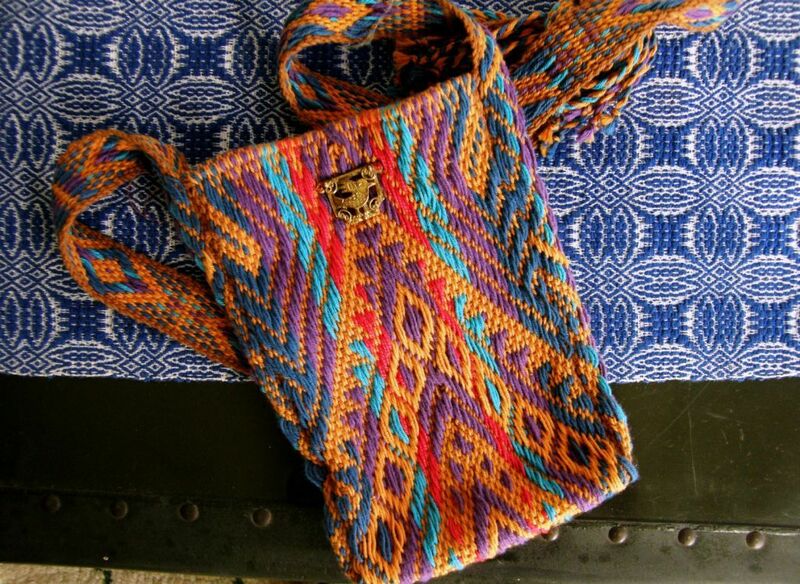 I especially loved Julia’s Lavender Field pebble weave bag… I’m gonna try something similar on my own! Thanks for the ideas you always give to me. Wow Laverne! I’m speechless! Such beautiful works of art! How lucky you are to meet such wonderful artisans during your travels. Thank you for your amazing posts, Laverne, I love reading them. 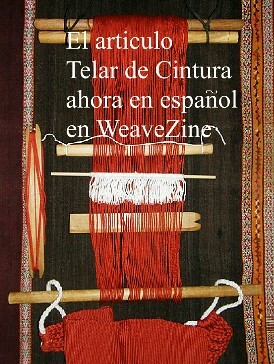 What wonderful pictures of Jaime and Joey’s weavings. Stunning. Great pictures! Thanks for taking us along on your journey. Gracias Laverne por mostrarnos tus maravillosas experiencias y mostrarnos el camino para motivarnos a continuar aprendiendo, un abrazo desde Chile, Susana. I have to agree with the other comments, love all the great pictures. Its always so inspiring for those of us that can’t get to see them in person. 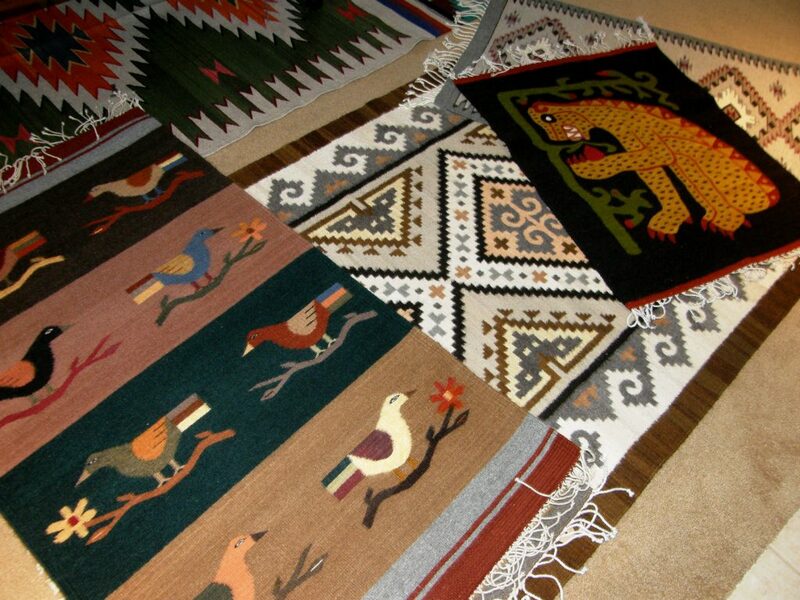 Those rugs are beautiful!!! I have been wanting a Gilmore loom for a while now. I know that I don’t want a Mini Wave, its adorable but too small (the one on the left in your picture). I can’t decide between the large or medium Wave loom. Wish I could see them. Since you have seen them, can you give an opinion? Is the largest one really too big to move around easily and maybe hold in my lap? Is that medium one kinda too small for card weaving? I was told that the medium one is 15″ between the front beam and the raddle mounted on the top and that seems like it would be enough room. I’m leaning towards the medium one. But if the large isn’t too big to be awkard, then it would be my choice. The wider weaving width for not that much more money is attractive. Love your snake weaving in the grass. Definitely snakey!! Oh my goodness! 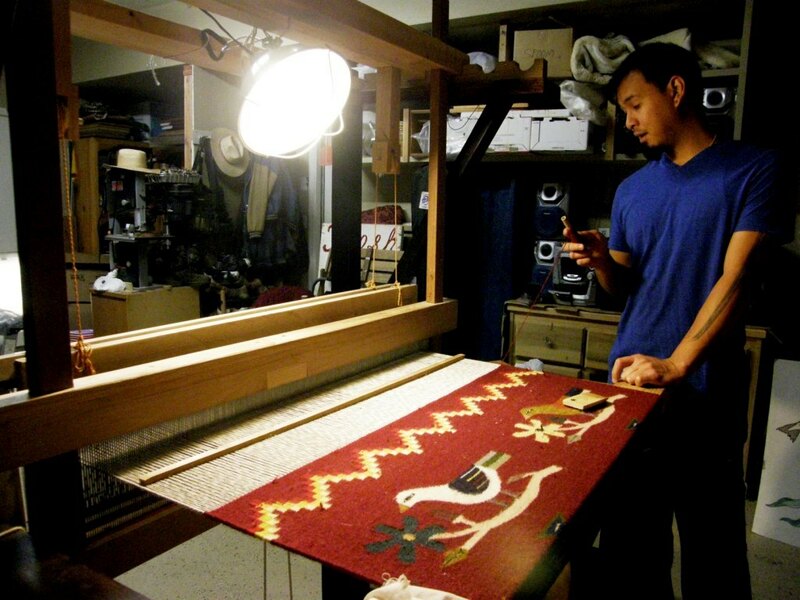 Joey and Jaime’s weaving is truly stunning! Laverne, you bring the weaving world to us, and I am so grateful. 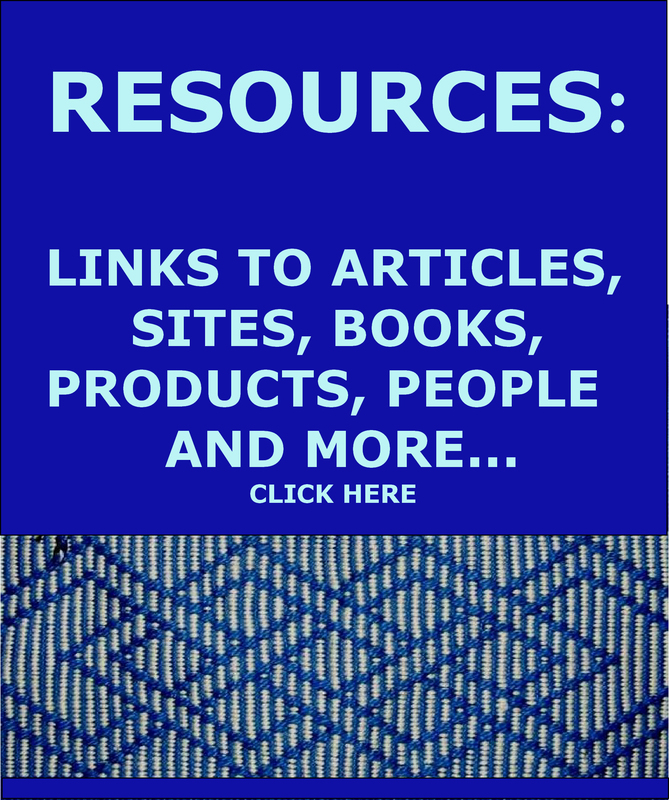 With each blog post I find myself eager to try each thing. Thank you. Loved the tour! So much inspiration and such wonderful talented people. Thank you for sharing your journey, every time I come to your blog it sparks my creativity into another gear. Can’t wait until my day off to breakout my backstrap loom. As usual you flatter me Laverne. I got a call from kraftymax that you were visiting Gilmore looms and her mom…so very glad to be remembered in such a wonderful way. Thank you so much.